On behalf of the Organizing Committee, we are honored and delighted to welcome you to the fifth International Conference on Computing, Communications and Informatics (ICACCI), Jaipur, India. Jaipur, Rajasthan’s capital, is an enthralling historical city. It belongs to the tourist Golden Triangle of Delhi, Jaipur and Agra. Since its inauguration in 2012, ICACCI has developed into a reputed conference and is well attended by experts in all aspects related to computing and information from many parts of the world. It provides an excellent forum for exchange of ideas among interested researchers, students, developers, and practitioners in the areas of computing, communications, and informatics. The Conference is indexed by Scopus, DBLP and Google Scholar since 2012 and by Ei Compendex and Web of Science (THOMSON REUTERS Conference Proceedings Citation Index) since 2013. ICACCI-2016 is organized by The LNM Institute of Information Technology (LNMIIT), Jaipur. 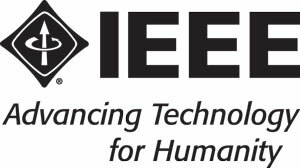 The conference is technically co-sponsored by IEEE Communications Society and IEEE Systems, Man, and Cybernetics Society. The Conference is technically supported by IEEE SMCS Technical Committee on Soft Computing, IEEE ComSoc Internet Technical Committee (ITC) and IEEE ComSoc Technical Committee on Green Communications and Computing (TCGCC). ICACCI addresses key topics and issues related to all aspects of computing, communications and informatics. Material is presented in a program of technical sessions, panel discussions, symposiums, tutorials, demos, workshops, lightning talks, late breaking results posters and plenary/keynote speeches. All accepted and presented papers are published in the conference proceedings and submitted to IEEE Xplore as well as other Abstracting and Indexing (A&I) databases. The conference is marked by a remarkable number of 1474 submissions from authors round the globe. The papers were subjected to a rigorous review process by considering the significance, novelty, and technical quality of submissions. On the basis of the reviews conducted, 229 regular papers, 144 short papers, and 97 poster papers were accepted. The papers are scheduled for presentations in different sessions namely the best paper sessions, regular paper sessions, short paper sessions, poster paper sessions and symposiums. Other sessions include tutorials, plenary/keynote sessions, poster/demo sessions, lightning talks, panel discussion and late breaking results poster sessions. The Conference features few co-affiliated symposiums namely Fourth Symposium on Intelligent Informatics (ISI’16), Symposium on Signal Processing for Wireless and Multimedia Communications (SPWMC’16), Second Symposium on Emerging Topics in Circuits and Systems (SET-CAS’16), Symposium on Bioinformatics and Bioforensics (SBB’16), Symposium on Emerging Topics in Computing and Communications (SETCAC’16), Fourth Symposium on Control, Automation, Industrial Informatics and Smart Grid (ICAIS’16), Symposium on Advances in Applied Informatics (SAI’16), Fifth Symposium on Natural Language Processing (NLP’16), and Fourth Symposium on Women in Computing and Informatics (WCI-2016). WCI serves as a platform to explore the opportunities as well as the diverse challenges facing women in computing and allied areas. There will be a panel discussion on “Empowering Women in Computing and Informatics” as part of WCI’16. Organisation of such pretentious conference would not have been possible without the true blue efforts of many individuals. The ICACCI’16 is obliged to hundreds of volunteers who contributed to the various processes that make up the conference. It would not be possible for us to name every one of them in this short message. We would like to express our gratitude to the TPC members and additional reviewers who shared their technical expertise and assisted us in reviewing all submitted papers. Thanks to the Steering Committee members for their guidance. We would like to thank all the authors for choosing ICACCI’16 as a venue for presenting their research. Many thanks are also due to our distinguished keynote speakers, tutorial speakers and session chairs for their valuable contribution to the conference. Special thanks to all other members of the Organising Committee for their help and support in the organization of the conference. We thank the LNM Institute of Information Technology (LNMIIT), Jaipur for hosting the conference. Sincere thanks to Lakshmi N. Mittal, Chairman, LNMIIT for his valuable suggestions and encouragement. Recognition should go to the Local Organizing Committee members who have all worked extremely hard for the details of important aspects of the conference programs and social activities. We also thank our student volunteers who helped with conference logistics, registration and the technical sessions. We are extremely grateful to IEEE ComSoc, IEEE SMCS, Technical Committee on Green Communications and Computing (TCGCC), Internet Technical Committee (ITC) and the IEEE SMCS Technical Committee on Soft Computing for supporting the conference. The EDAS conference system proved very helpful during the submission, review, and editing phases. We would like to thank our sponsors and supporters for their contribution to the conference. We would like to thank C& M Consultants for their great service. We wish to thank Sankaran of Research Publishing, Singapore for his invaluable support. Finally, we thank all conference participants for making ICACCI a success and hope that you have an enjoyable and fruitful stay in Jaipur. Please share the great news about ICACCI with your friends and colleagues when you return home. ICACCI welcomes international scholars to host forthcoming editions in other countries. We look forward to your contributions and attendance in the future editions of the conference. The scope of International Conference on Advances in Computing, Communications and Informatics (ICACCI) is to provide an international forum for the exchange of ideas among interested researchers, students, developers, and practitioners in the areas of computing, communications, and informatics. Since its inauguration in 2012, ICACCI has developed into a reputable conference and is well attended by experts in all aspects related to computing and information from all over the world. The Conference is indexed by Scopus, DBLP since 2012 and by Ei Compendex and Web of Science (THOMSON REUTERS Conference Proceedings Citation Index) since 2013. Google scholar metrics shows h5-index=13 and h5-median=16 for ICACCI. ICACCI'16 addresses key topics and issues related to all aspects of computing, communications and informatics. Material is presented in a program of technical sessions, panel discussions, symposiums, tutorials, demos, workshops and plenary/keynote speeches.The fifth edition will be held in LNMIIT, Jaipur, India during September 21-24, 2016. Accepted and presented papers will be published in the conference proceedings and submitted to IEEE Xplore as well as other Abstracting and Indexing (A&I) databases. Jaipur is the largest city in Rajasthan and is known as the Pink City. It is a major tourist attraction in India and belongs to the tourist Golden Triangle of Delhi, Jaipur and Agra. Jaipur hosts several attractions like the City Palace, Govind Dev ji Temple, Vidhan Sabha, Birla Temple, several massive Rajput forts and so on.